They are 14 years too late. Seems like they went ahead and put down the date their license ends for it. It'd be a solid five years. 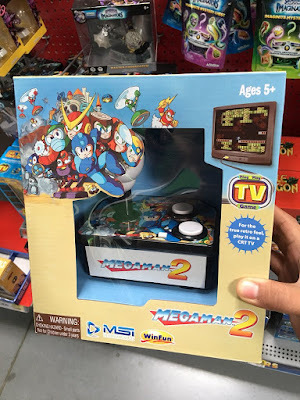 Some say that there was actually a Megaman game before 2, but I don't believe them. Wowie! One whole game! What a bargain! Nah, I'm sure this has its target audience. I, uh… just have no idea who that might be, in this world of Virtual Console releases, compilations, and… dare I say, Famiclones? I saw this last week. I thought to myself "do I want to pay $17.88 for one Mega Man 2 game that has a horrible button layout, and may or may not play accurately? Or... do I wait for Mega Man Legacy Collection 1 + 2 and pay $39.99 and get 10 games that will run pretty accurately?" Yeah, this thing is interesting, but I can't see myself getting this unless I know it runs well. And even then, it would only be for the sake of a collection. Besides, I have an NES Advantage. If I want the arcade experience, I'll just play Mega Man 1-6 on the NES that way. Either way, this seems like a waste of money. You are better off playing it on either Anniversary Collection, Legacy Collection, or NES Mini......... or a real NES, if you happen to own one. Plenty of options to choose from to play Mega Man 2, other than a company you do not rely on. I gotta know: How does it play? As already noted above, their website is truly bizarre, and you can't find this on Walmart's own site. Anybody got a link to a retailer selling this online? I don't even understand what currency MSI's site wants me to pay with but "8500" sounds like too much. Still too late to the party. Licensed or otherwise. No one wants to plug and play MM2, people want to plug and play Mega Man 11. Stop wasting time Capcom and make that happen. Inb4 "Capcom is not using the same resource for this as the development of MM11, all they probably did was ok this to an outsource" yeah I know my comment was said in jest of anticipation of MM11 and fatigue of MM2. None of the Walmarts in my area got stock, but one had a shelf spot for it, and a UPC code for it. If you want to hunt for it on Brickseek try 84017205646 as your UPC code. 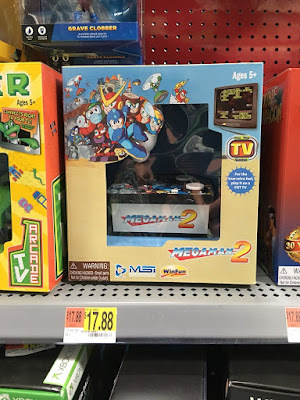 I also did this on Walmart.com but they apparently (at least as of now) don't sell it through the web. I just picked this up. The sounds are a bit off, and Metalman was throwing some weird, jumbled sprites at me. 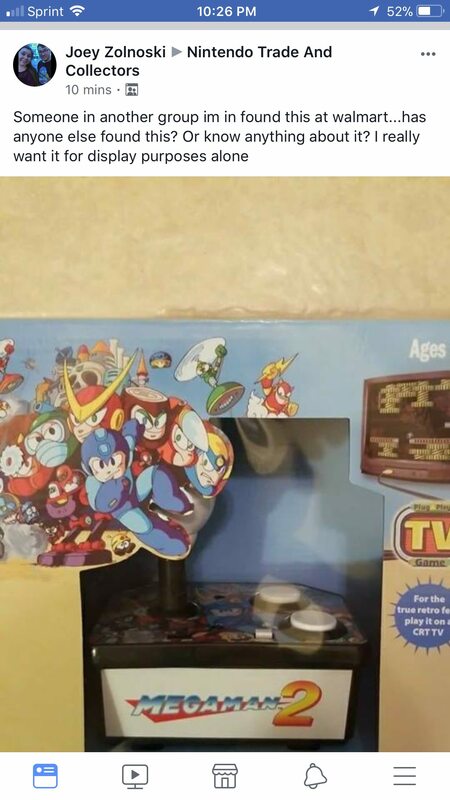 This is definitely going in a display case with the rest of my Mega Man stuff. At least the unit itself has some nice artwork on it. I remember when we would get multiple games on one TV game back in the early 2000's. Would have been nice to have at least 1, 2, and 3 on the unit.